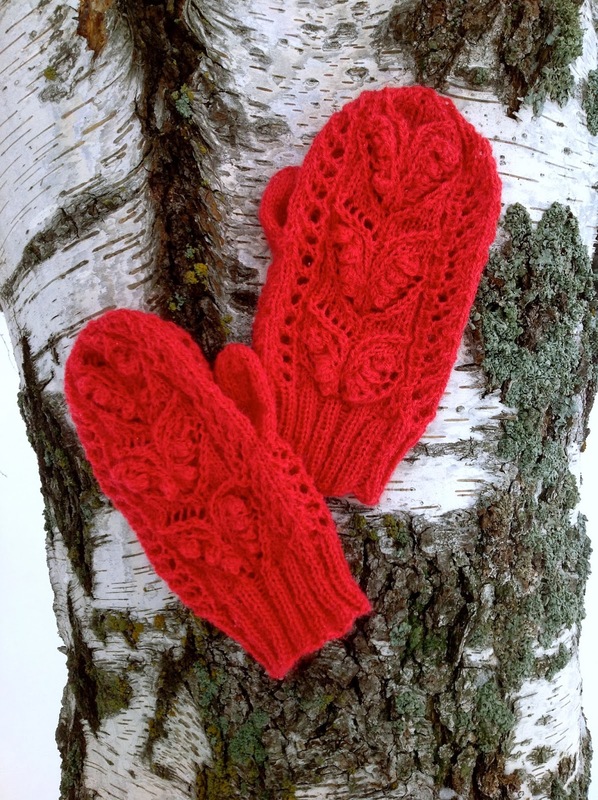 I knitted these lace mittens with Drops Alpaca in raspeberry red. I used 3 mm needles, the lace motif on the upper side of the mittens are the same as in the Audrey cardigan, I really like the small bobbles. 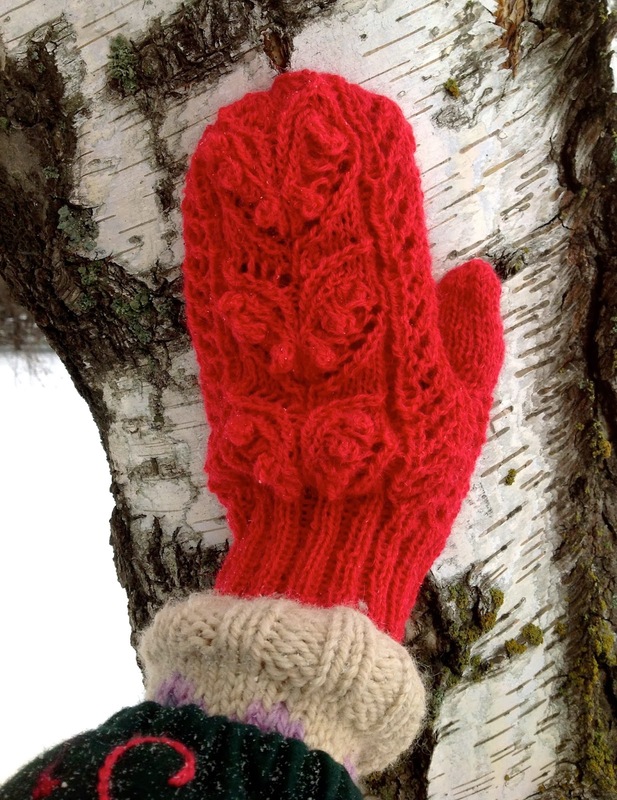 I think the mittens are too chilly to wear as such and I am knitting simple mittens in stocking stitch in Drops Alpaca light camel to wear with them underneath. I chose a very classic motif for this knitted wool sweater, the colours are quite demanding so I felt it was best to keep the style quite simple. I used Cascade Heather Birch and Pacific, the darker petrol is Drops Alpaca Mix turquois/blue and the undyed natural wool yarn is Aholaidan Suomenlampaan villaa. 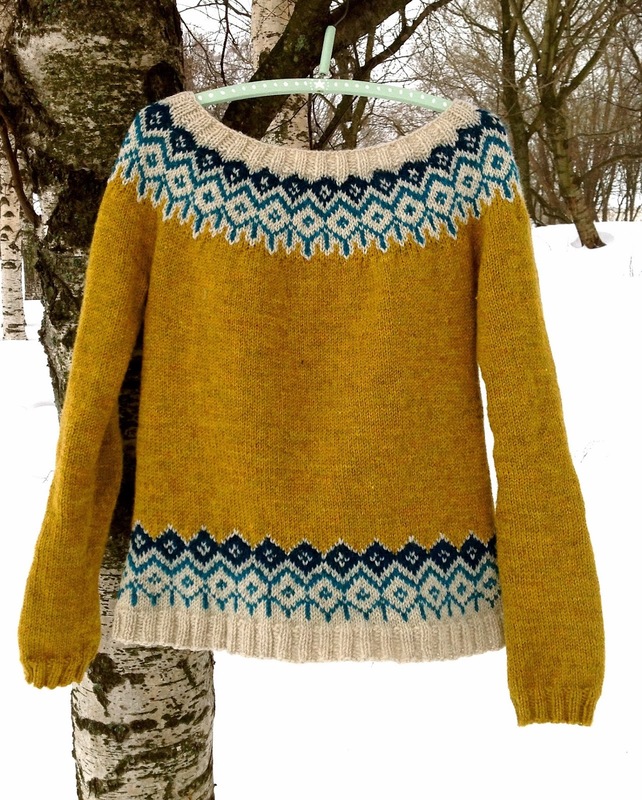 The sweater was knitted in the round on circular needles 5mm and 4mm. 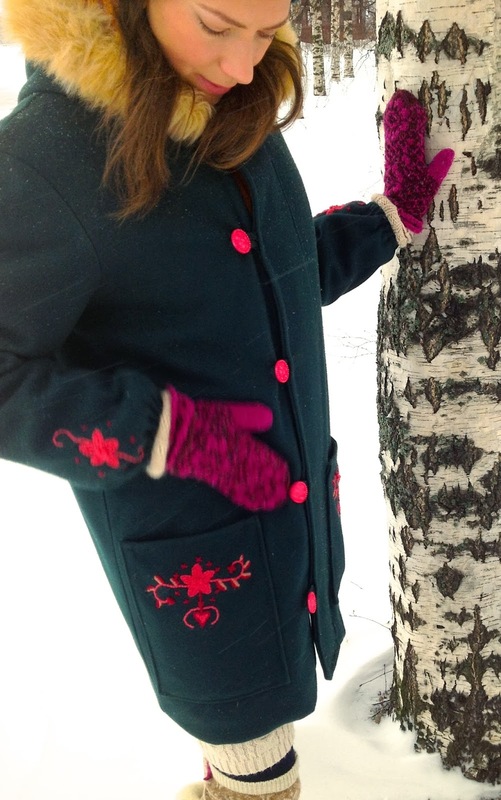 I always have trouble finding a nice winter jacket (I am not a big fan of black) so I decided to make my own. 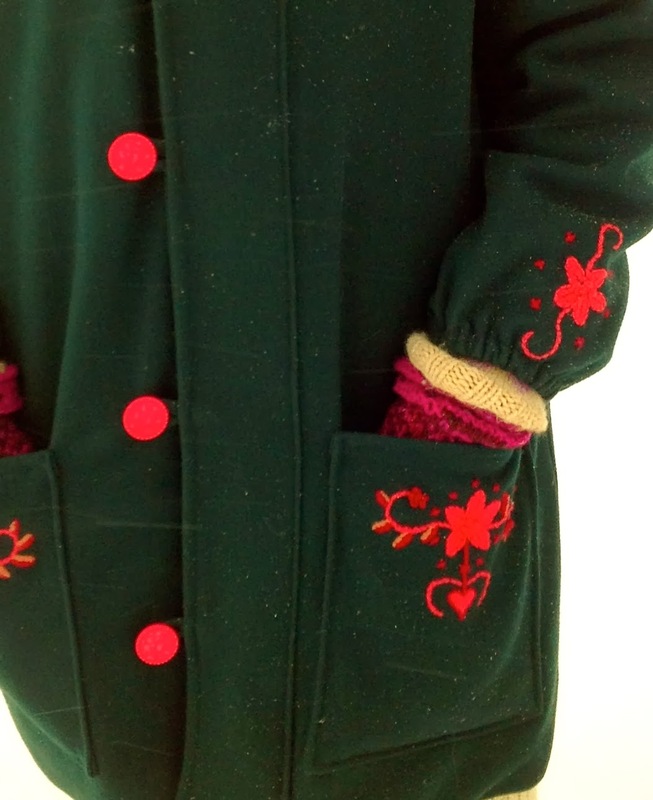 I used wool fabric in green for the outside and for the inner lining raspeberry red wool fabric and a fleece layer in between to make it extra warm. 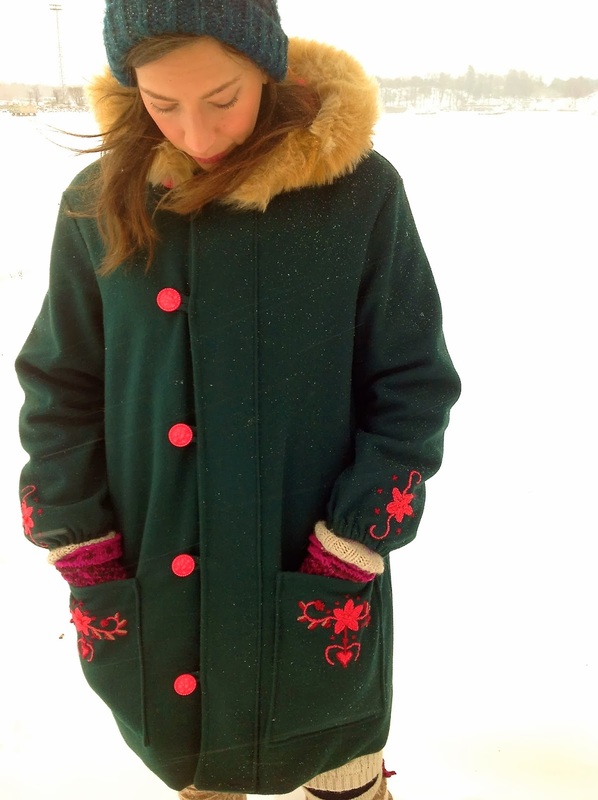 i took the pattern from an old Burda magazine, the pattern was for a classic duffle coat but I altered it a bit. It was really fun to make and think about all the details, I knew I wanted big pockets and a big hood. The whole thing took about a week to make. I wanted to make some emroidered details and chose wool yarns in different red shades. The fabric is quite dense so it was a bit tricky to det the needle through, took some time but I am happy with the result! I wanted to make some embroidered details and chose wool yarns in different red shades. The fabric is quite dense so it was a bit tricky to get the needle through, took some time but I am happy with the result! I found the perfect coloured buttons in the handicraft paradise Karnaluks in Tallinn, they are a bit kitschy but I like that it doesn´t get too serious. The big hood was an absolute must and I sew some fake fur for extra softness around the edge. I love that sweater! The colours are perfect. I also love the sweater. Do you have a pattern for it? I was also wondering if you had a pattern for the sweater and are you on Ravelry? A friend and I are hoping to make your lovely jumper and have bought our yarn. would you be willing to take close-up photos of the yoke so I can better understand how you managed the pattern and increases: I have drawn out the pattern already, but am not familiar with the increases ... and how you managed to get it to look as though there were no increases. Also wondered if you knitted from the top down or bottom up. 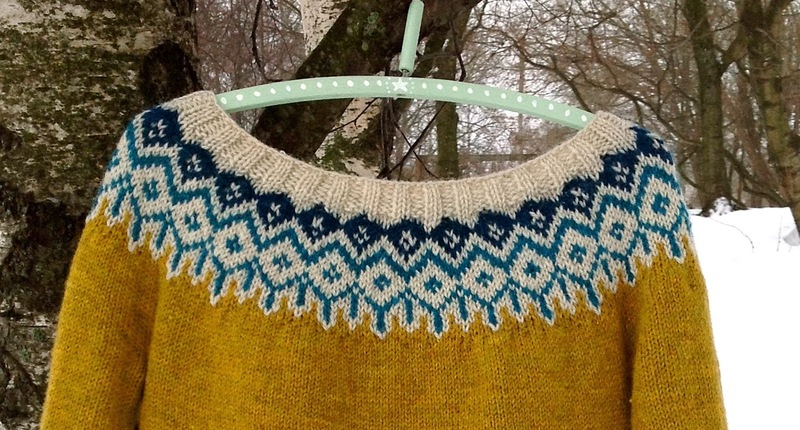 I'm just wondering if you have a pattern available to download for the stunning yoke sweater above? 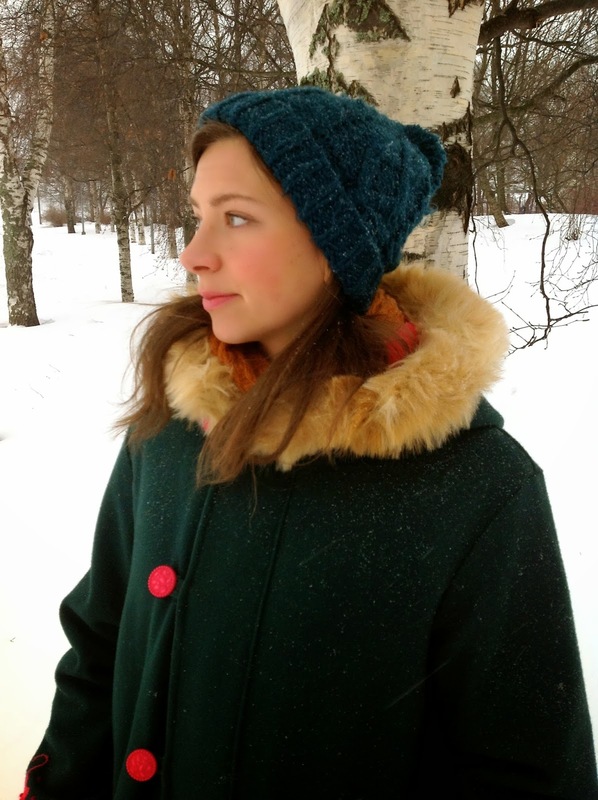 Love your sweater and would like to knit it for my friend. Do you have a pattern yet? Happy New Year.